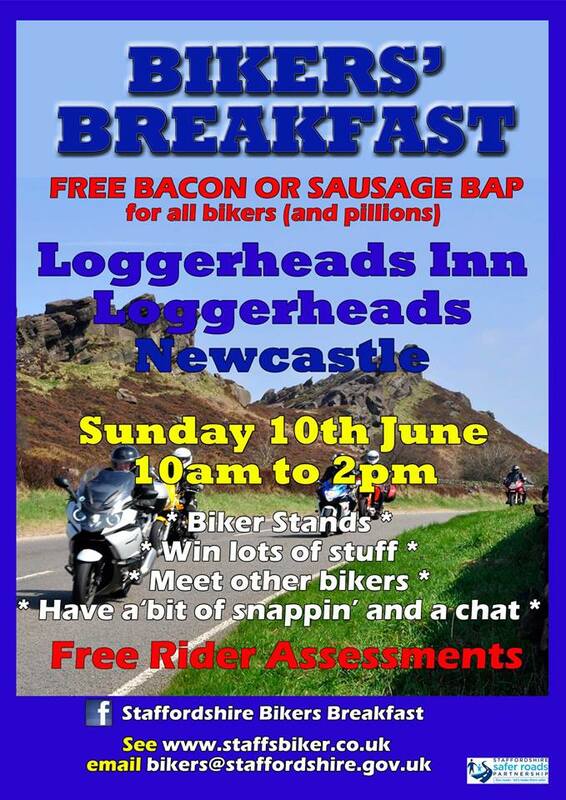 The Biker’s Breakfast events are coming soon with this year’s starting at the Loggerheads Inn, Newcastle on 10th June. You can pick up a breakfast bap & the new 2018 edition of the Staffordshire biker booklet. Get your bike out, have a morning rideout to the fabulous Loggerheads hotel for the first bikers breakfast of the year. There are also free rider assessments for full license holders & a multitude of information & advice about biking for new & experienced riders. « few days to go..